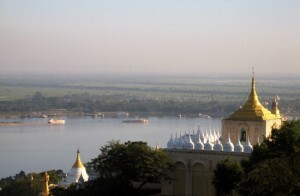 The Burmese military regime just released the rightful leader of Burma from 20 years of on-and-off house arrest. She has committed her life to democracy in the country renamed as Myanmar by the military so much so that she didn’t see her dying husband in London for fear that if she left her homeland she would not be allowed back. 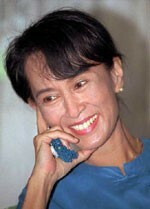 She is a hero by the example of her life and should not be measured by whether or not she brings democracy to Burma. And no one knows what democracy means to a people under totalitarian rule for at least two generations. 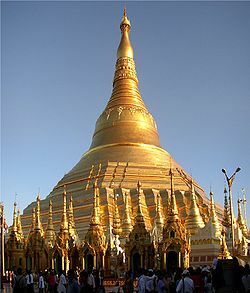 I visited Burma on a lark shortly after Aung San Suu Kyi was popularly elected and then prevented from seating her government. It was a crazy time to be there. Stupid in retrospect. Burma is a beautiful country with natural and archeological treasures. The military desecrates these treasures as easily as it does cemeteries, houses of worship and monasteries. Some of the country is as ungovernable as are parts of Afghanistan, where tribes and drug trade rule. Never known for its warm and welcoming manner, France has outdone itself. First, it has deported Gypsies, an act condemned by the European Union. But no sanctions were levied. Now the legislature has banned burqas — the Muslim full-on veil. Maybe people — me included — think that it is a little imprisoning to be totally covered at all times. But the government of a politically democratic (and culturally snobby) country outlawing an outward sign of piety? What if France wanted to outlaw the kipah (the beanie worn by religious Jewish men and cardinals and popes) or the sheitl (wig worn by religious Jewish women), would there be an outcry?? I think the answer is clearly yes. Deportations . . . singling out customs of a religious minority . . . hmmm. . . . Is it Germany 1933? Sad, but true, it is France 2010. And don’t think this is an aberration. Belgium and Spain are considering a burqa ban, too. First, they came for the Jews. But I was not a Jew, so I did not speak up. Then they came for the communists. But I was not a communist, so I did not speak up. Then they came for the trade unionists. But I was not a trade unionist, so I did not speak up. It is dangerous for all of us. The Nazis burned books. The Communists burned books. The McCarthy-ites burned books. Is this really what America stands for? And just a little side note: and these Quran burners call themselve the DOVE WORLD OUTREACH CENTER? Really? Really? P.S. : ONLY C-SPAN and CNN carried live the interfaith press conference denouncing the burning of the Quran. Fox News Channel had no coverage and MSNBC did not carry live coverage. WHAT DOES THAT SAY??? KABUL, Afghanistan – The top U.S. and NATO commander warned Tuesday an American church’s threat to burn copies of the Muslim holy book could endanger U.S. troops in the country and Americans worldwide. The comments from Gen. David Petraeus followed a protest Monday by hundreds of Afghans over the plans by Gainesville, Florida-based Dove World Outreach Center — a small, evangelical Christian church that espouses anti-Islam philosophy — to burn copies of the Quran on church grounds to mark the Sept. 11, 2001, terrorist attacks on the United States that provoked the Afghan war. I believe the Gulf disaster defies analogy. But we need to pigeon hole this one for the 24 hour news re-cycle. Hmmm. Hurricane Katrina. Yeah, that’s it! Let’s exploit another episode of human suffering for the sake of ratings. That’s why the media asks, “Is this Obama’s Hurricane Katrina?”. Because that was the most recent large scale disaster. We can’t remember back almost 10 years to ask if this is “Obama’s 9/11”. And it feeds our need, in a situation out of control, for symmetry with past events so we can pretend to understand the event and its ramifications and then go back to watching Britney Spears. The pathology of fear symmetry. Let’s not make this about President Obama, although it would make it easier if it were. It is about greed and reckless indifference to our earth. It is about a problem of unimaginable scope causing imponderable calamity for all living beings. We elected President Obama because he is unflappable, at least in public. Now, we are pissed because he doesn’t express constant outrage to satisfy CNN, FOX, and MSNBC and our own fear symmetry pathology. Rule 1 of disaster reaction: If the only people with the machinery to solve the problem are the ones who caused the problem, don’t piss them off. If you make it so they can never get out from under the liability, they will take their marbles and go home and then all is lost. Sometimes it feels good to yell at a given moment, but it hurts you in the long run (ever hear the old saw, “don’t cut off your nose to spite your face”?). Rule 2 of disaster reaction: There is no easy resolution to this problem because no one prepared for this disaster. Not BP and not the United States. Preparation would have required years of research and development by top scientists and hundreds of millions of dollars. So, blame Reagan, Bush I, Clinton and Bush II. Even throw Carter, Ford and Nixon under that bus while you’re at it. Rule 3 of disaster reaction: Everyone wastes time pointing figures at others. And take out the mirror. All of us. We are the problem, too. Consume too much? Vote for the Drill, Baby, Drill ticket? Rule 4 of disaster reaction: DON’T TELL THE PUBLIC THE TRUTH. WE CANNOT HANDLE THE TRUTH (Jack Nicholson was right in “A Few Good Men”). We also expect that everything will get fixed for us, preferably within a day’s trading session at the New York Stock Exchange. Rule 5 of disaster reaction: The media feeds our ridiculous expectations and our hubris. So, Anderson Cooper, Glenn Beck, Bill O’Reilly, Keith Olbermann, Maureen Dowd, Jack Cafferty, Wolf Blitzer and whoever else: stop with the comparisons and come up with ways to heal our earth, ways to help our fellow Americans, our wildlife, etc. Set up a disaster relief fund. Reality No. 1 of Disasters: The man in charge — President Obama — wanted this gusher plugged the minute it happened. You think he wants to go down as the president who screwed up this disaster response? Reality No. 2 of Disasters: Everyone is an armchair quarterback. If you can help, then help. If you can’t, then shut up. Reality No. 3 of Disasters: If there weren’t a disaster, the media would create one. So, for the 45th President of the United States of America, what will be your Gulf Oil Spill Disaster? This Blogger’s No. 1 Fear: If it is ever over, we will forget about it in a New York minute. I started the weekend early by slipping out to go to the ear doctor. Most people wouldn’t call that the start of a weekend. But my ears have been clogged and itchy on and off for some time and more and more people have told me that they’ve been to the ear doctor and the problem was wax. Deriving from a deep-seating egotism or martyrdom — I am not sure — I assumed that the ear doctor would look into my ears, faint at the sight of the wax and then, once regaining consciousness, would suit up (a HazMat, of course) and begin excavation. I walked onto the street and tried to hail a cab during that ridiculous time of day when ALL cabs are “off-duty” — why every cab company must have the shift changing times is beyond me. I inadvertently cut in front of a guy and ran to an off-duty cab because sometimes the driver will take you if the destination is on his way to the designated shift-changing location. I felt bad — I don’t usually cut a line and this was right after the doctor waived a co-pay. The guy looked odd but harmless enough. So, I offered him a lift to his destination — Port Authority. This is a very non-New York thing to do. A cab is one’s (rented) private domain from the beginning to the end of the ride. Don’t get between a New Yorker and his or her cab. It would get ugly fast. It turns out the stranger in my cab was a doctor and a sheep farmer near Binghampton, NY and was in the city for a medical conference. He hates the city and the thought of living on a farm gives me hives. So, total opposites and that does not bode well for the 20 minutes remaining in our time together. That is an eternity in a small space with a stranger who somehow feels beholden to make conversation. And he was clearly not a natural conversationalist. For example, he mentioned that not only does he get wool, milk but he also gets hides. Picture a dead Bambi starring in the movie, “The Silence of the Lambs.” He had noooooo sense of humor and seemed somewhat sad. When we got to Port Authority, I declined his offer of payment and told him that my doctor waived the co-pay, and telling me to give it to charity and so I am doing the same here. As the cab driver and I continued on to my destination, I said congenially, “Was I crazy to give a stranger a lift?” The cab driver looked at me in his rear-view mirror and said, “You seem like a very nice spirit and a professional, educated person.” I knew that that was a compliment and a way to say he thought I wasn’t crazy doing a good turn for a stranger, but it is fascinating how different cultures and the “immigrant experience” shape our language. He then asked rhetorically, “You are Jew?” Turns out Moustafa is a Muslim from Egypt and a civil engineer. (A weird factoid: he is the third cab driver — all were Egyptian — to ask if I were a Jew.) We had a wonderful chat about life, happiness and universality of humanity. It is crazy how a doctor’s waiving a co-pay led ultimately to a conversation with Moustafa. A conversation that lifted my spirits and reminded me of our common humanity. The urologist who put up a sign saying, “if you voted for Obama, go somewhere else,” got his information from the Internet and . . . wait for it . . . it was misinformation. We did not “misunderestimate” him (my favorite moment of the otherwise bleak Bush years). He was flat-out wrong. The Internet is an amazing tool. It also must be viewed in its context. Opinions — informed, ill-informed and maliciously disinformative — are out there. It is up to each person to glean the facts, evaluate the sources and come to one’s own conclusion. Just because I can write an opinion that you might read doesn’t mean that I am right, that I have all of the facts or that, quite frankly, I am interested in the truth. Everyone is entitled to his or her own opinion, but that doesn’t mean that each opinion deserves equal weight. I spoke to a tea party goer about a year ago that heard on an unnamed “news” station (ok, FOX) that the health care bill would give social security benefits to illegal aliens. Ok, let’s set aside the fact that we are not talking about E.T., The Extra-Terrestrial, or Martians, and that they are humans deserving at least the catch-all phrase of “illegal immigrants”. I asked this woman if she ever dealt with the government. She asked me to get to my point. I responded that even if President Obama were seeking to give away the money in the Treasury (which he can’t because there is a 3 trillion dollar deficit), that the government needs a social security number to take any action with respect to a person’s benefits. So if someone doesn’t have a SSN (let’s assume that an illegal immigrant hasn’t stolen one because why impugn someone who is seeking a better life here, while there are native born executives of Enron and Madoff enterprises who have committed heinous crimes and haven’t yet had their days of reckoning), then it is impossible to give that person social security benefits. The commentator was either mistaken or intentionally misleading. Ok, let’s be honest. MSNBC is slanted the other way and sometimes uses inductive reasoning — basing a hypothesis on one fact — and gets the whole analysis wrong. For me, sometimes, it is analogous to watching a show about law or maybe a doctor watching ER or Grey’s Anatomy. It strains credulity and sometimes is farcical. However, when I realized that I paid more in 2009 taxes than most, non-celebrity, tea party-ers pay in two decades, I realized that I put my money where my mouth is. I believe in universal health care, medicare and a safety net for those like my grandparents who slept at night knowing that, if they lost their jobs in sweatshops, their children would not starve. As a child of those children — the embodiment of the American dream — I pay my taxes for those like my grandparents and my parents, and not for the ungrateful masses who are the tea-party-ers. Why? Because this is America, the greatest nation on Earth. But if you don’t want to buy in, that’s ok. But there are consequences. How about we mess with your medicare? Would you be partying then? I hope you get along with your neighbors because if I join your group, there won’t be money to pave the roads outside your homes. But because of my belief in America, and my indebtedness to my forebears, you get to be parasites sucking on the dream of America. To tell you the truth, I cannot wait to heave the yolk of your entitlement of my already heavy burden. How about that? Let the generous, gentler and kinder America (thank you, Bush I) reclaim what is America. I live America — I work hard, I pay my taxes, I pray that the government is good, right and just, I do not believe in torture and I give charity to those who need help to jump start their lives. Yes, what Jesus would do. And I am a Jewish, lesbian, Ivy League educated, Northeastern elitist. And I embody the promise and opportunity of America more than most of the greedy, uncharitable, talking heads that pollute our airwaves. Why? because everyone is traceable these days. Hey if Israeli operative can be photographed prior to an assassination, then our lives are open to the world. The truth is I am too stupid and I have too much to say that no one would voluntarily listen to, so I need a blog. Maybe I should call it my Blab or my Blah-Blah.